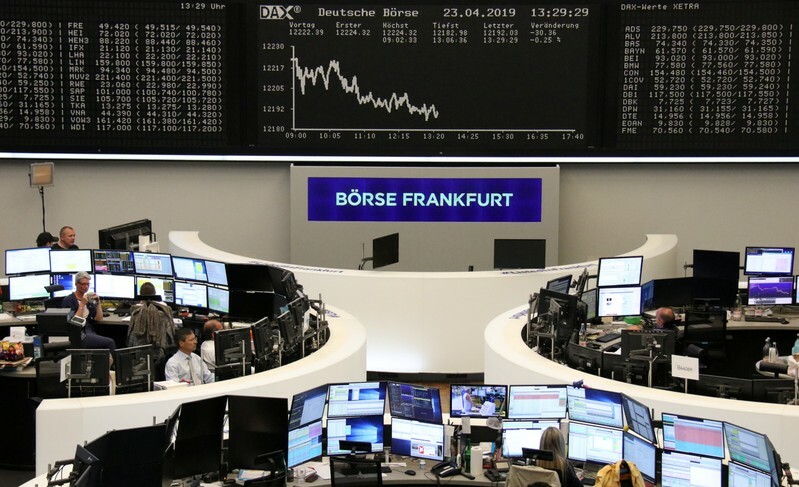 (Reuters) – European shares edged lower on Wednesday as signals that China has put broader stimulus on hold overshadowed strong earnings from the likes of SAP and Credit Suisse. The pan-regional STOXX 600 index was down 0.1 percent by 0920 GMT – though the benchmark index has notched gains in the past eight consecutive sessions, and shown a tendency to rebound from a weaker open. “The market is taking some cue from the slowing of stimulus in China,” said Stefan Koopman, Market Economist, Eurozone, Rabobank. Most major regional bourses were in the red though the slew of upbeat earnings helping German and Swiss indexes advance. Business software company SAP soared to an all-time high and boosted the DAX after the company set ambitious new mid-term targets and as activist investor Elliott Management disclosed a 1.2 billion euro ($1.35 billion) stake in the company. 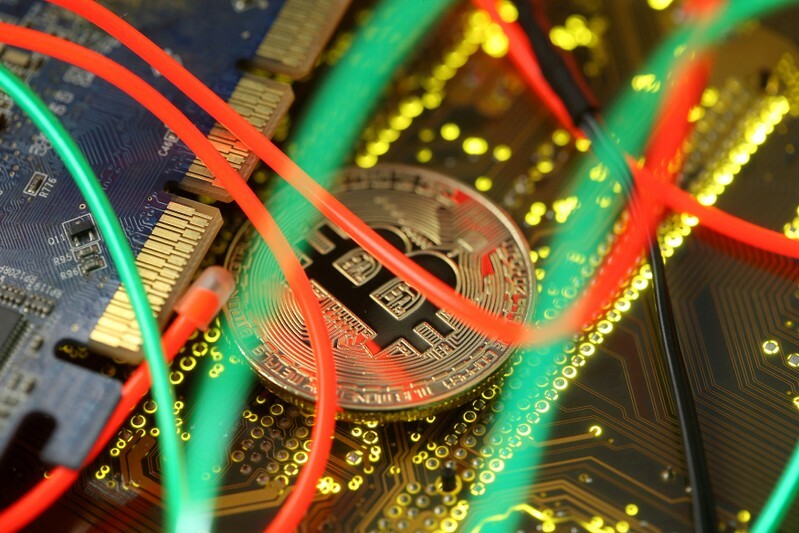 Top performer was Wirecard which climbed 8 percent after the payments company confirmed Japan’s Softbank Group Corp will buy a 5.6 percent stake in the firm. STMicro shrugged off a gloomy prediction by bigger rival Texas Instruments and posted a broadly inline update, which sent its shares up more than 3 percent. SAP and STMicro drove the tech sector up 2.5 percent to its highest since July 2018. 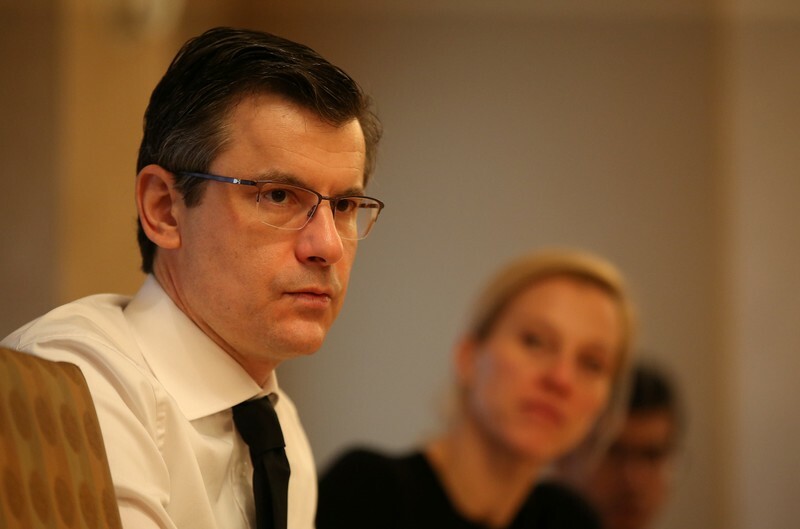 Kicking off the first-quarter balance sheet assessment for banks in the region, Swiss lender Credit Suisse rose 2.5 percent after posting a surprise profit and saying it was cautiously optimistic about the second-quarter following a challenging start to the year. Results from Credit Suisse will be followed by UBS Group AG and Barclays on Thursday and Deutsche Bank on Friday. 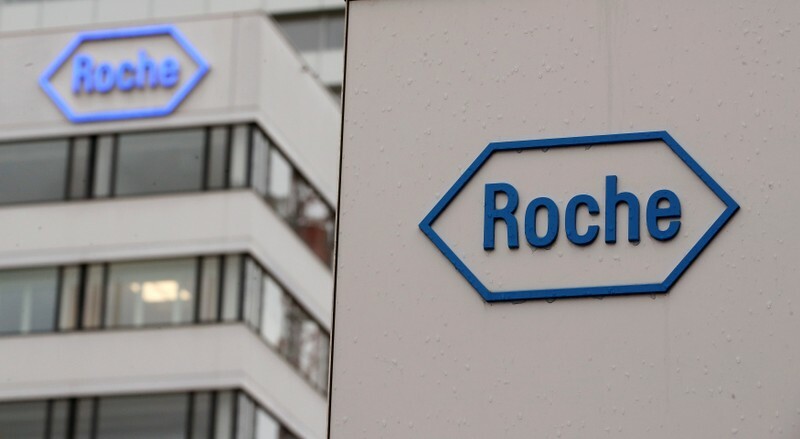 Healthcare stocks got a boost from Novartis’ gains as the Swiss drugmaker raised its 2019 guidance after a first-quarter earnings and sales beat. Swedish truckmaker AB Volvo rose after reporting a better-than-expected first-quarter operating profit on the back of stronger pricing and easing supply chain constraints. Auto stocks dropped 0.7 percent, led by Renault after its Japanese partner Nissan Motor Co slashed its full-year profit forecast to its lowest in nearly a decade due to weakness in the United States. Online gaming company Kindred Group plc landed at the bottom of STOXX 600 after profits for the first-quarter were significantly impacted by a new local license in Sweden. (Reuters) – European shares pulled back from eight-month highs on Wednesday as worries over China putting policy-easing measures on hold offset upbeat earnings in the region from Credit Suisse and SAP. The pan-regional STOXX 600 index was down 0.1 percent by 0732 GMT. The benchmark index has notched gains in the past eight consecutive sessions, with a trend of rebounding from a weaker open. 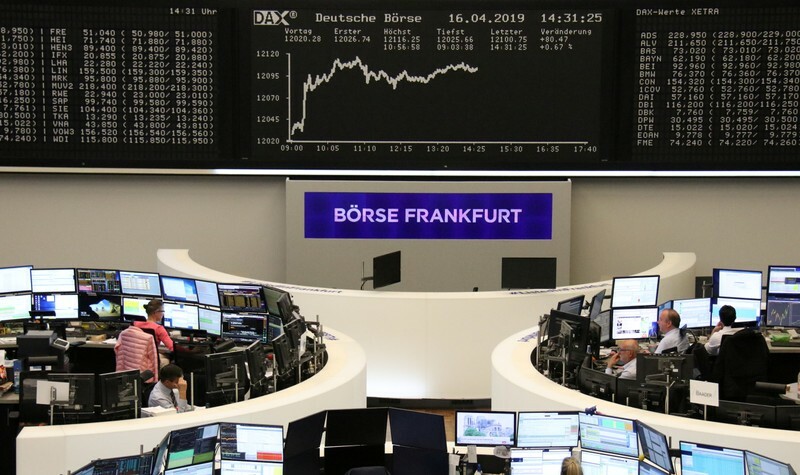 Germany’s DAX eked out a gain ahead of the country’s Ifo business climate data, due at 0800 GMT, while all other major regional bourses were in the red. Auto stocks dropped 1 percent, led by Renault after its Japanese partner Nissan Motor Co slashed its full-year profit forecast to its lowest in nearly a decade due to weakness in the United States. U.S. President Donald Trump on Tuesday said European Union tariffs facing motorcycle manufacturer Harley Davidson Inc were “unfair” and vowed to reciprocate, but gave no other details. The oil and gas sector pulled back after a 2 percent jump in the prior session on the back of higher crude prices. 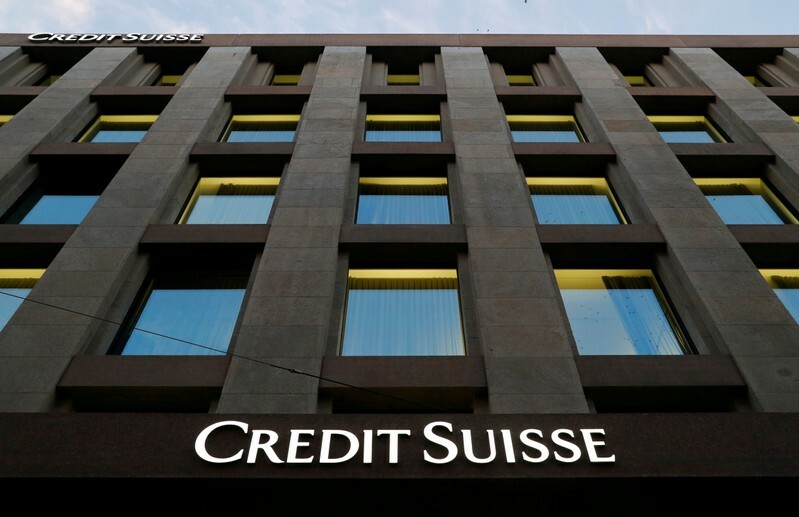 Kicking off the first-quarter balance sheet assessment for banks in the region, Swiss lender Credit Suisse rose 3 percent after posting a surprise profit and saying it was cautiously optimistic about the second-quarter following a challenging start to the year. Results from Credit Suisse will be followed by those from UBS Group AG and Barclays on Thursday and Deutsche Bank on Friday. Top performers on STOXX 600 was payments company Wirecard and business software company SAP which also kept the Germany’s DAX afloat. Wirecard jumped 8 percent after a Bloomberg report said Japan’s Softbank was looking to invest about 900 million euros ($1 billion) to pick up a minority stake in the company. SAP climbed 6 percent and drove tech sector 1.9 percent higher as the company set ambitious new mid-term targets to boost profit margins after reporting a first-quarter operating loss that chiefly resulted from a restructuring charge. Swedish truckmaker AB Volvo rose after reporting a better-than expected first-quarter operating profit on the back of stronger pricing and easing supply chain constraints. (Reuters) – UBS Global Wealth Management has closed its overweight position in U.S. equities and shifted to an overweight in emerging market and Japanese stocks, it said on Thursday. UBS Global Wealth Management chief investment officer Mark Haefele said also that the firm preferred the euro over the Swiss franc and Norwegian crown versus the Canadian dollar. 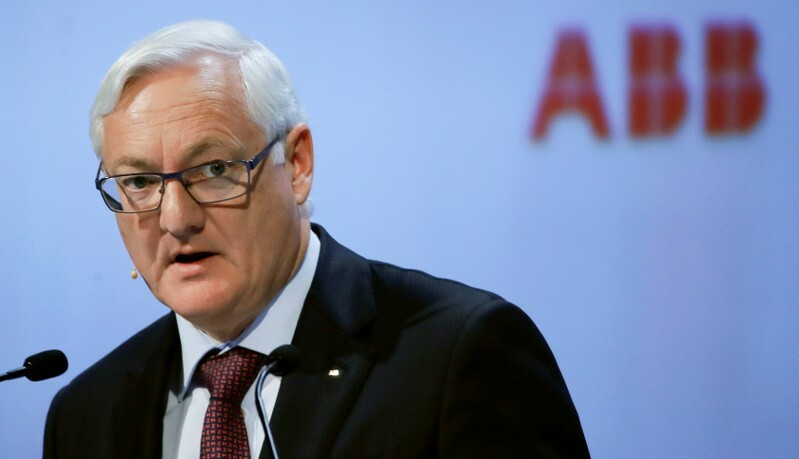 ZURICH (Reuters) – ABB Chairman Peter Voser has taken over as temporary chief executive at the Swiss engineering group, the company said on Wednesday, after CEO Ulrich Spiesshofer stepped down. 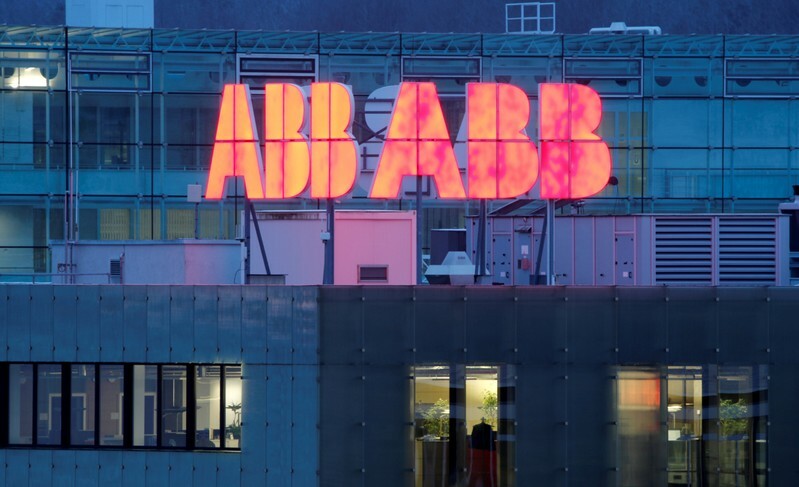 Spiesshofer, CEO since 2013, agreed with the board to step down and a search has now begun for a successor, ABB said. 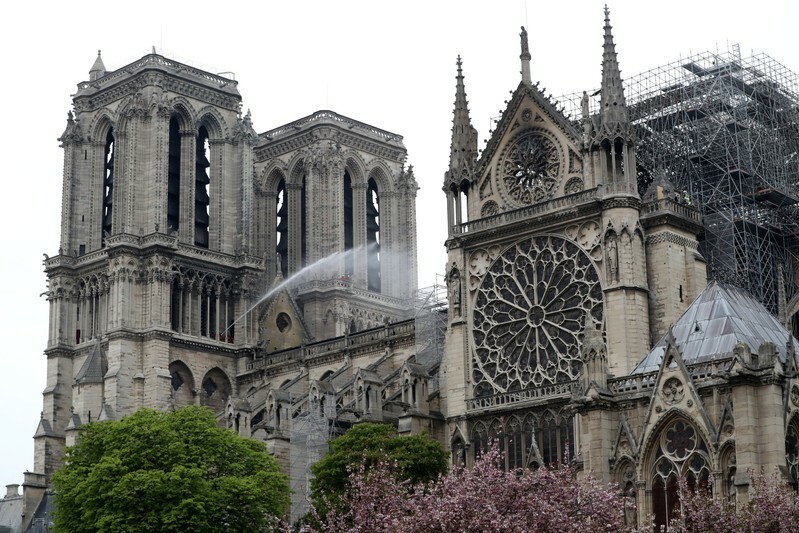 (Reuters) – Major European insurers expect France to bear the bulk of the cost of rebuilding the Notre-Dame Cathedral after a fire tore through the eight-centuries-old Paris landmark on Monday. 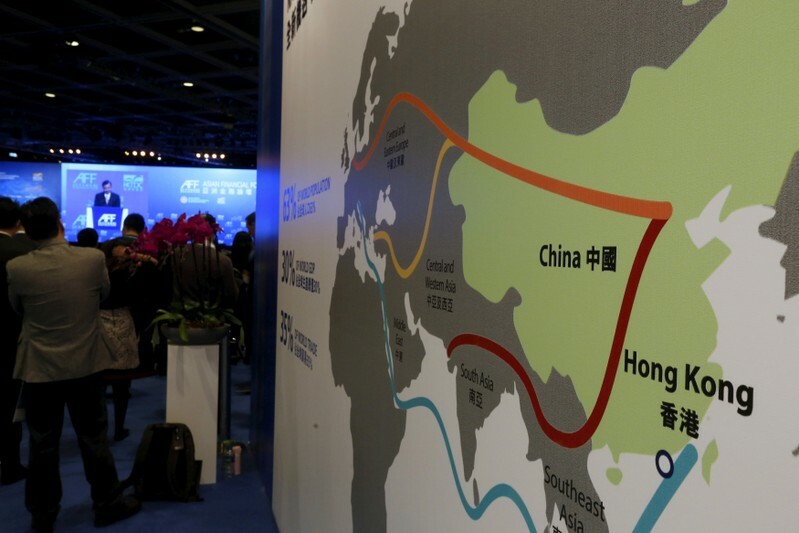 ZURICH (Reuters) – Switzerland will sign an accord backing China’s Belt and Road Initiative when President Ueli Maurer visits China this month, cementing ties with a major trading partner as other Western countries view the gargantuan project with scepticism. Switzerland, one of the first Western states to recognize the People’s Republic, was the first country in continental Europe to reach a free trade agreement with China, its largest trade partner after the European Union and United States.